Come in looking for a Financial Planner and Walk out with your very own C.F.O. There are a few things our leadership team knows to be true. First, a good relationship is a powerful thing. Fact is, people test people every day to see if their word has meaning. We invite you to give us a shot. For three decades we have built our firm around reliability and trust. And a hands-on style of customer service. From minimizing estate and income taxes, investment allocation and diversification, to asset protection and planning for persons with disabilities, we’re responsive, experienced and thorough. Like your own C.F.O. should be. The leadership team at Security Financial Management is regularly invited to speak at state conventions throughout the US to discuss Estate and Financial Planning and has been featured in the Orlando Sentinel for their financial planning expertise. 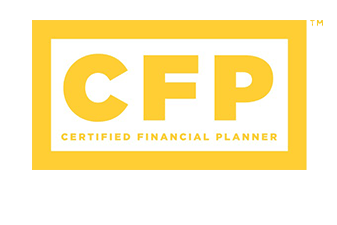 In keeping with our standard of excellence we've set at SFM, many of our advisors serve as a CFP®. These professionals have completed extensive training and experience requirements, and are held to rigorous ethical standards. They understand the complexities of the changing financial climate and know how to make recommendations in your best interest.